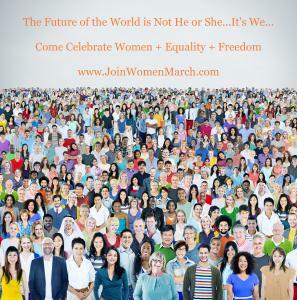 SANTA MONICA, CA, UNITED STATES, April 10, 2019 /EINPresswire.com/ -- Recruiting for Good a staffing agency on a mission to help fund summer camp scholarships is rewarding men who make referrals with fun trips to gift the Ultimate Experience International Women's Day March in Dublin, London, NY, Paris, and Rome. According to Recruiting for Good, Founder Carlos Cymerman, “Are you a man who celebrates and champions women...love your daughter, wife, girlfriend, mom, mother of your children, and grandma too? And want to be remembered forever? Simply, participate in our staffing agency, and we'll reward 'the special woman in your life' The Ultimate March Party Trip that will change her life for good." Carlos Cymerman adds, “This service will save your life (and your relationships)...earn you future brownie points. 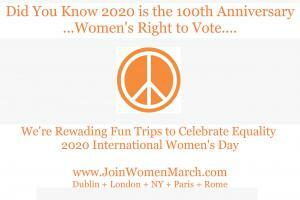 Our Women March Trip is the perfect gift for anniversaries, birthdays, Christmas, graduations, Mother's Day, and Valentine's Day too."